March Break has come and gone and here I am left with whiplash from watching the week fly by so quickly. While we didn't have any plans to escape the winter and travel down south like some of my teaching counterparts, our family still made the most of our time together with a couple of dinner parties, play dates and a trip to my hometown to spend a few days with my parents. Of course, a week away from school means time to play and have fun so we pulled out some games and toys from the crawl space. I also made sure to dig through my parent's basement to find my old collection of 3D puzzles which includes replicas of the Château Frontenac in Quebec and Il Duomo Cathedral in Florence. In addition to the new puzzles we purchased such as my daughter's new favourite Ravensburger that we found at Target, we had some new toys and games courtesy of Hasbro to keep us occupied during our March Break play-cation. First up, was the KRE-O Dungeons & Dragons Fortress Defense set. Containing 297 pieces, this set allows you to build a castle in three different ways and defend it from the Orcs. 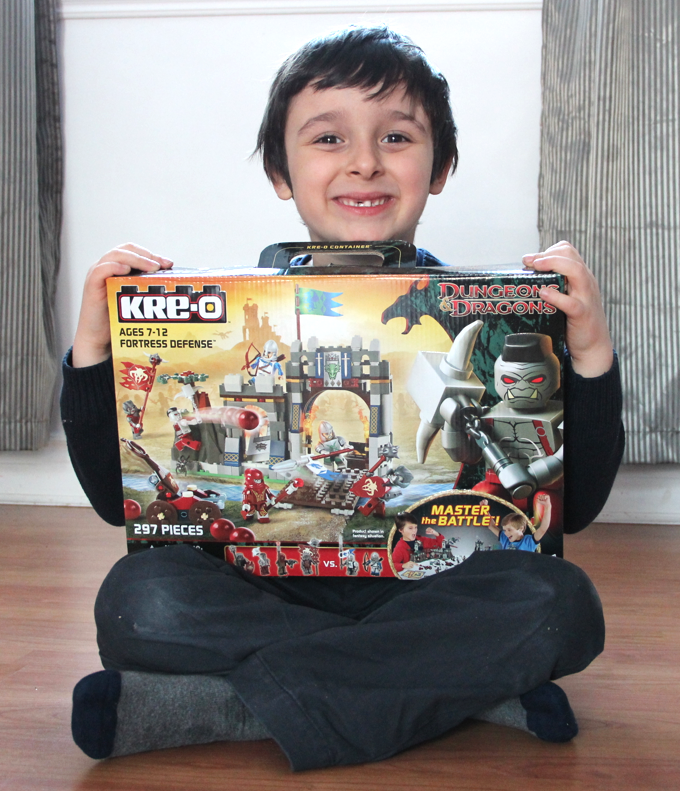 It comes with knight Kreon figures, a catapult and more. It is geared to kids between the ages of 7-12 but my son, who is almost six years old, had a fun time building this set with his dad. 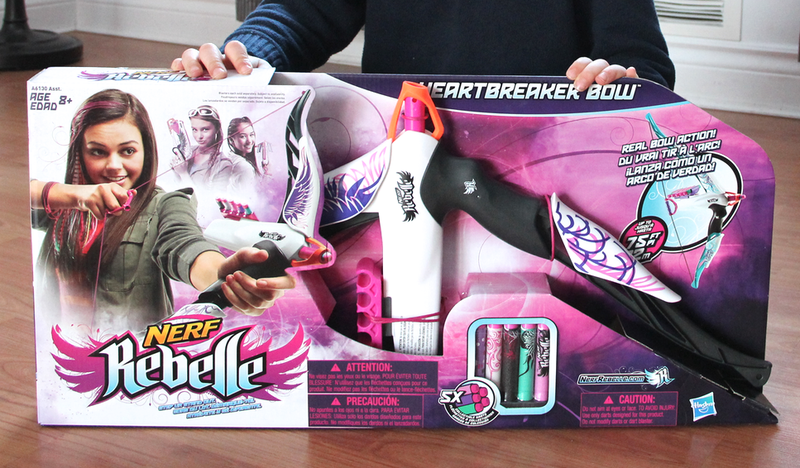 Next, we tested out the Nerf Rebelle Heartbreaker Bow Blaster. My kids had been eying the bow blaster for some time now and really wanted me to buy one when we found it on sale at Toys R Us a few weeks ago. In fact, my daughter tried it at a friend's birthday party and had so much fun with it so I knew it would be a hit. This assortment set comes with five collectible darts and can reach targets up to 75 feet away. Simulating real bow action, you can adjust the sight to make your aim even sharper. Truth be told, I had fun testing it out while channeling my inner Katniss. Of course, the kids did spend plenty of time playing outdoors and made sure to soak in the sunshine on that glorious Tuesday where temperatures rose to double-digits. But after that snowstorm hit, the kids defaulted to watching some shows on Netflix, playing with their Furby Boom, battling it out with their Beyblades and dressing up as superheros. And not just any superhero. I'm talking about THE superhero - Thor! Disclosure: I was sent products to help facilitate this review. Any opinions expressed in this post are my own. It sounds like you all spent the March Break in wonderful ways. Do you feel refreshed?